(Bloomberg) -- Ford Motor Co. will roll out four plug-in hybrids and two battery-powered models in its latest effort to boost its loss-making business in Europe, where manufacturers face slowing sales and tightening emissions rules. 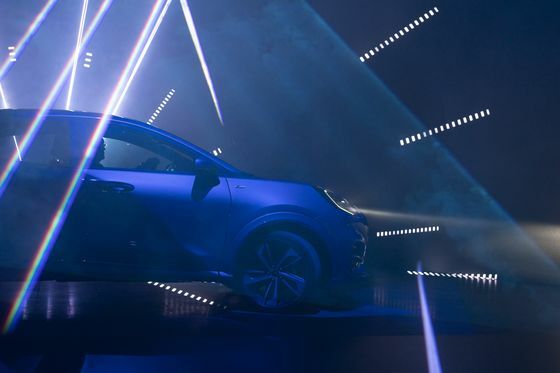 The U.S. carmaker said Wednesday it will offer a new compact Puma, part of a revamped SUV lineup that includes the Explorer and an overhauled version of the Kuga. The Puma, to be built at Ford’s Craiova plant in Romania, will be available with a mild-hybrid variant. The electrification effort, which lags more ambitious plans at rivals Volkswagen AG and Renault SA, comes amid speculation about the U.S. carmaker’s future in the region. Ford, which employs some 54,000 in Europe, last month said it will pull out of the Russian car market and close three plants there. Detroit peer General Motors Co. sold its European Opel and Vauxhall brands to Peugeot-maker PSA Group in 2017 after two decades of losses. At the event, Armstrong showed off a revamped version of Ford’s best-selling Kuga, the European twin of the U.S. Escape. Declining markets since last year are magnifying spending pressures on carmakers to force costs cuts, increase collaboration with rivals and consider mergers. 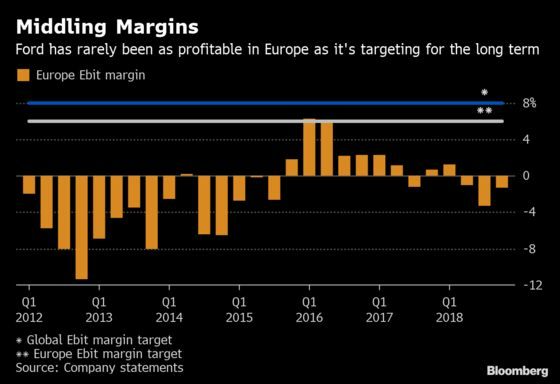 Ford, which has committed to spending $11 billion by 2022 on electric cars globally, plans to return to profitability with a 6 percent margin goal for Europe, short of an 8 percent global target. 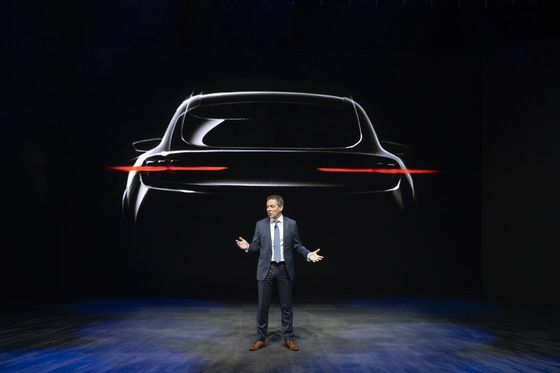 The U.S. manufacturer last month said it will cut more than 5,000 staff in Germany, after outlining plans in January that may include closing factories as well as weeding out slower-selling models. Uncertainty over Brexit is especially hurting ford in its biggest European market. A U.K. departure from the European Union without an agreement would be a “disaster” for the company and the auto industry, Armstrong said in an interview with Bloomberg Television. Ford is prepared to reconsider its U.K. presence, which includes an engine and a transmission plant, in the event of a no-deal Brexit, he said. 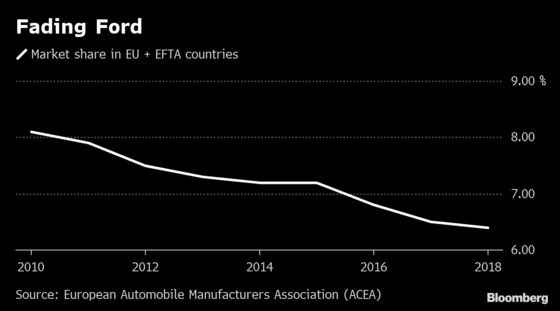 Ford’s presence in Europe has shrunk in the past decade-and-a-half. The carmaker sold Jaguar and Land Rover to Tata Motors Ltd. in 2008, and also sold off its British Aston Martin brand. Sweden’s Volvo Cars went to China’s Geely Automobile Holdings in 2010. The company is shuttering a transmission plant in France, as part of its review that includes “rescaling the footprint of the business.” Production of the C-Max people mover at Saarlouis in Germany will cease. Ford’s passenger-vehicle business, with city cars like the Fiesta and an array of compact vans, has struggled with a lack of popular SUVs. Sales last year declined 3.5 percent to 970,000 cars. To help generate savings, the Dearborn, Michigan-based company will cooperate with Volkswagen on vans, a profitable business where Ford is the market leader in Europe. The collaboration could extend to autonomous cars or even sharing production platforms. VW, the world’s biggest carmaker, has also said its electric vehicle technology was open to competitors in a bid to gain scale and save costs. Talks to advance the project are “progressing well,” Armstrong said.